Hi everyone! I have been fortunate enough to participate in the Totally Tutorials Exchange Program several times now! If you haven't heard about this AWESOME program, it basically matches up suppliers and artists. The suppliers offer supplies for free, in exchange for a tutorial using those supplies. 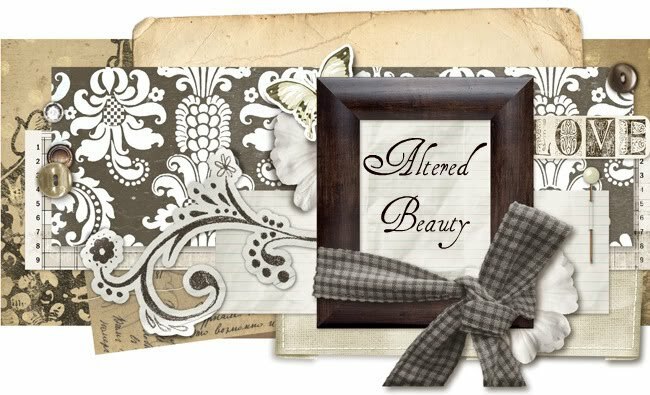 For more information, tutorials, and chances to participate, please visit the Totally Tutorials blog! On to my tutorial! 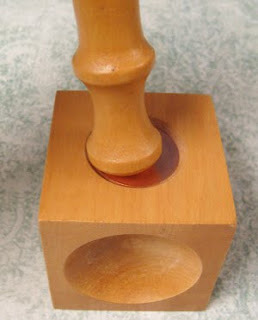 I received a cool Wooden Dapping Block With Punches from Evies Tool Emporium on Etsy. 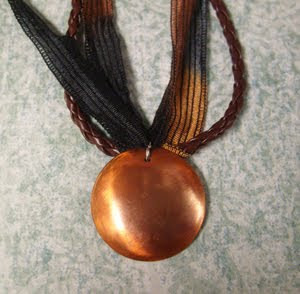 I decided to use it along with a copper disc and some cool ribbon to create a necklace. 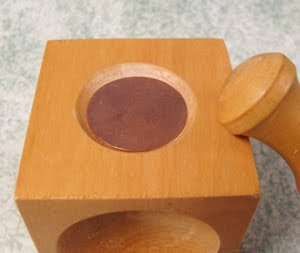 Begin by placing your copper disc into the dapping block. Place it into the depression that is closest to the size of the disc. Place the punch that is closest to the size of the disc against it, and lightly hit the other end with the rubber mallet. Do this until a round, even dome is acheived. 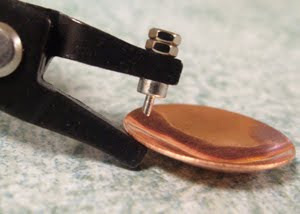 Take your hole punch and place it over the place in the disc where you would like the hole to be. 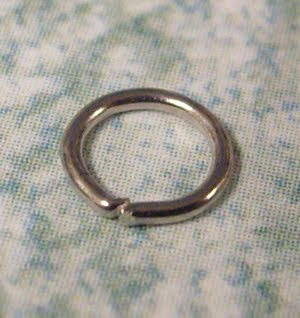 Don't punch it too close to the edge, but don't punch it too far in because then a bigger jump ring will be needed. 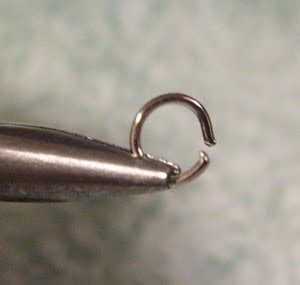 I recommend punching about 2mm in. Apply firm, even pressure. Now for the exciting part! 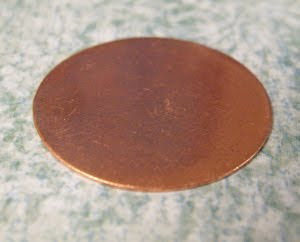 Take your domed piece of copper outside or to an area where it will be safe to use flame. 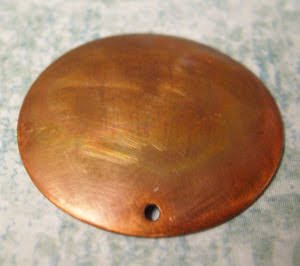 Place it on a piece of firebrick or other heat resistant surface. 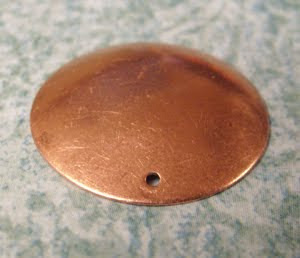 Turn on the micro torch and apply flame to the surface of the copper. It will change colors rapidly, so I recommend applying the flame gradually. You will see reds, golds, greens, and blues. Stop when you reach a color you like. If you apply too much heat you may darken the surface more than you would like. If this happens, don't worry! You can sand the surface with a fine grit sandpaper and start over. (I didn't take pictures of this step because I didn't think using a camera and open flame at the same time would be a good choice for me...I am a bit clumsy :-/) Here is what it could look like! 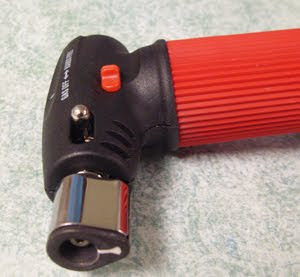 Use a buffer on a dremel or other rotary tool to smooth out the surface and add shine. (Again, no image because I couldn't use both at the same time.) 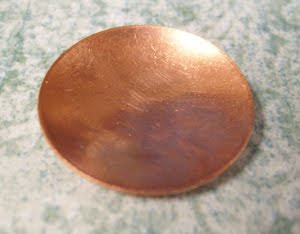 Set the copper piece aside for now. 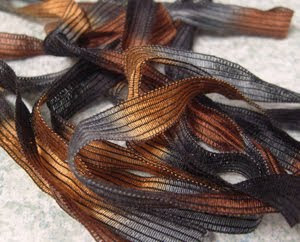 Take the ribbon you would like to use and cut it to the desired length. 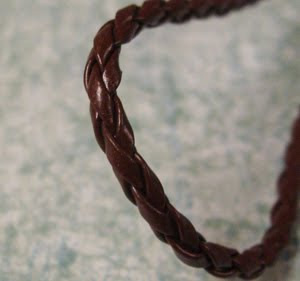 Do the same with your leather cord. 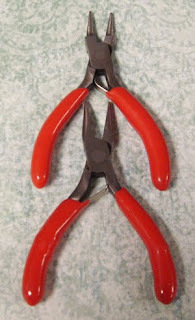 Use your flat nosed pliers to close the ribbon crimps around the ends of your ribbon. 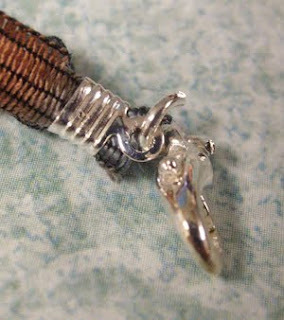 Be sure each strand is firmly secured in place. You can add a drop of glue for more strength. 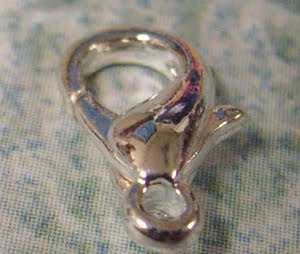 Attach a jump ring to one of the ribbon crimps. 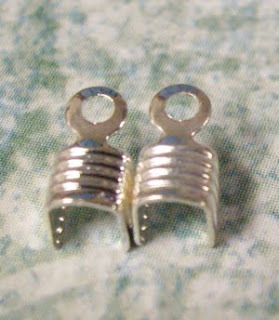 Attach a lobster clasp to the jump ring. 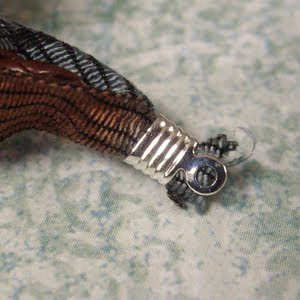 Using your flat nosed pliers, attach your copper piece to the ribbon and cord with a jump ring. 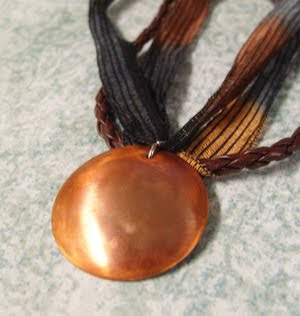 This finished necklace is for sale in my Etsy store, Altered Beauty. 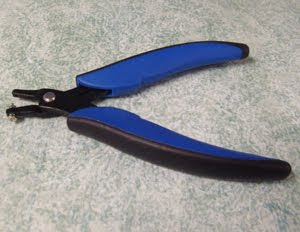 Please visit Evie's Tool Emporium for an awesome selection of supplies that are perfect for jewelery and craft projects! 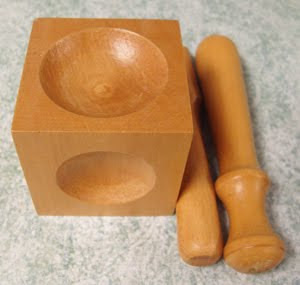 I absolutely love my Wooden Dapping Block With Punches! There is so much available there...I know I will be a repeat customer! Thank you so much for the wonderful tutorial! I would like to know if I can link like this to you, including your photo, in the future. Or if you would be willing to allow me to post projects in full on the site - full credit will always be given to you, of course. It would be yet another source of traffic to your blog. Once you have 2+ projects on the site I can start you a designer profile where you can tell everyone a little about yourself and include links to your blog, etsy store, facebook, etc. The site is still under construction, so if some things seem weird they will be fixed. 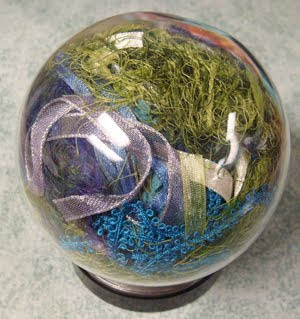 Once the designing part is done the site will be more akin to our sister sites AllFreeSewing.com and FaveCrafts.com.